The US-backed Saudi-led aggression coalition warplanes launched 28 air attacks on several provinces over the past 24 hours, killing one citizen and wounding four others, a military official told Yemen Press Agency on Tuesday. In Hajjah province, the fight jets waged a strike on a house of the citizen in Haydan area of al-Mahabasha district, killing one citizen and injuring four others. In Hodeidah province, the fight jets waged 14 strikes on farms of the citizens in several districts of al-Tuhaitah, Zabid and al-Dhuhai, causing heavy damage. In Saada province, the air forces of the Saudi-led coalition launched seven strikes on houses and farms in Razih, Haydan and Kutaf districts. 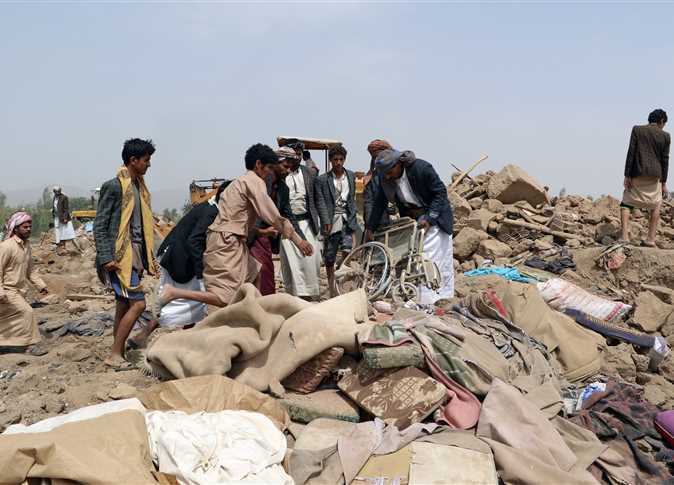 In Sanaa province, the combat jets hit Nehm district three times. In Jawf province, the warplanes three strikes on al-Maslub district.